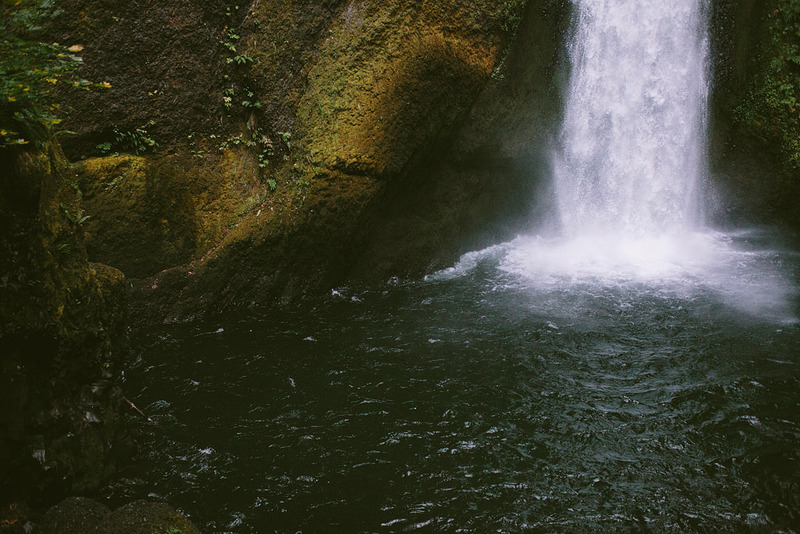 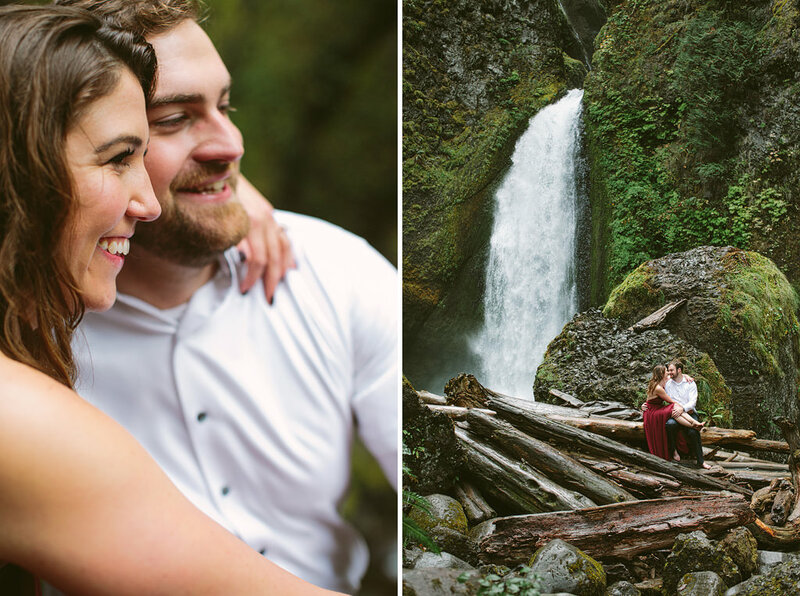 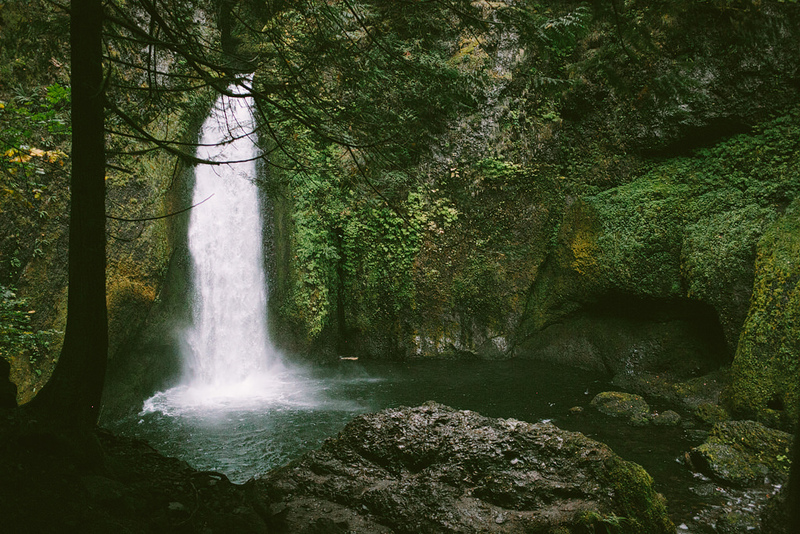 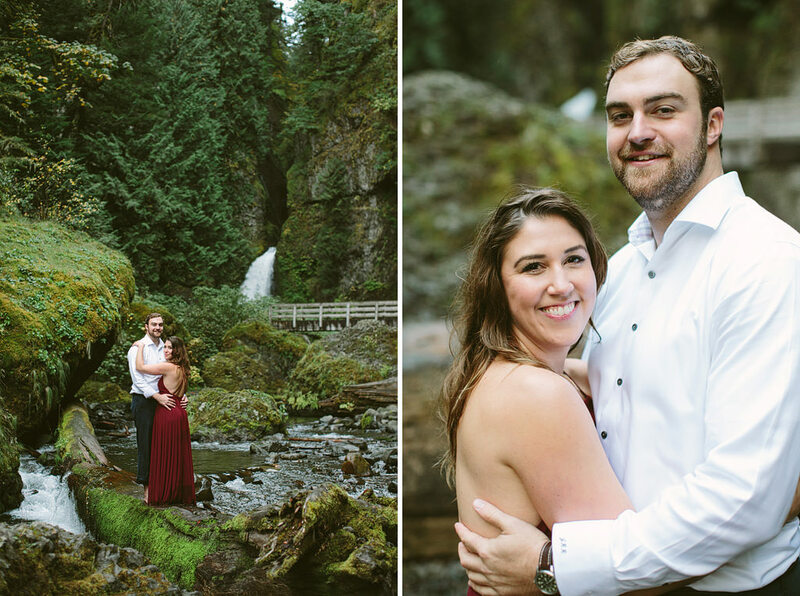 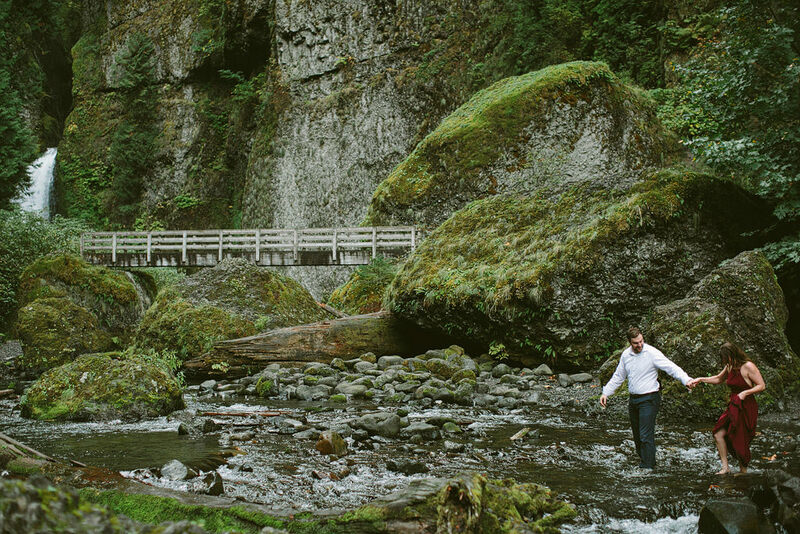 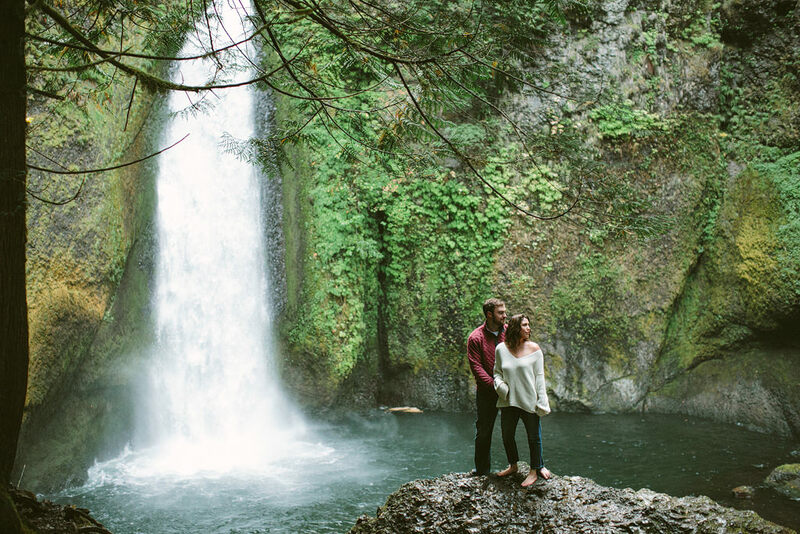 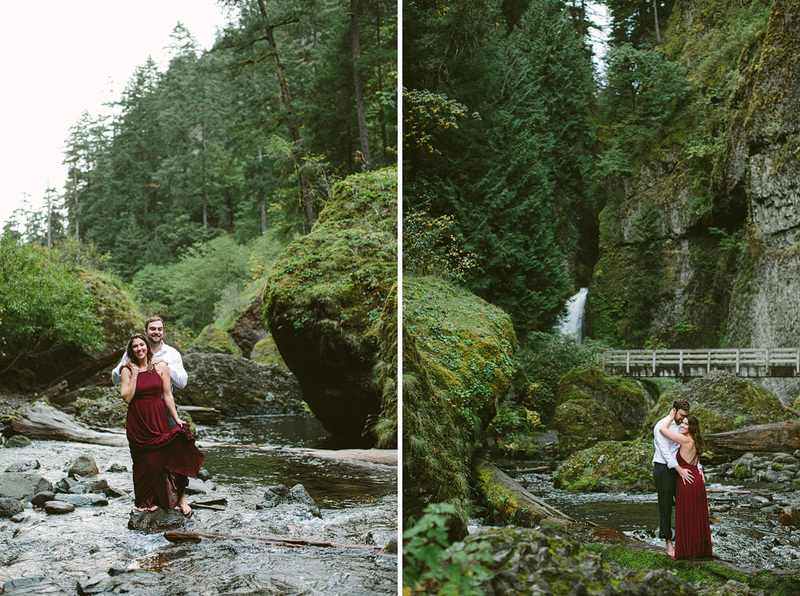 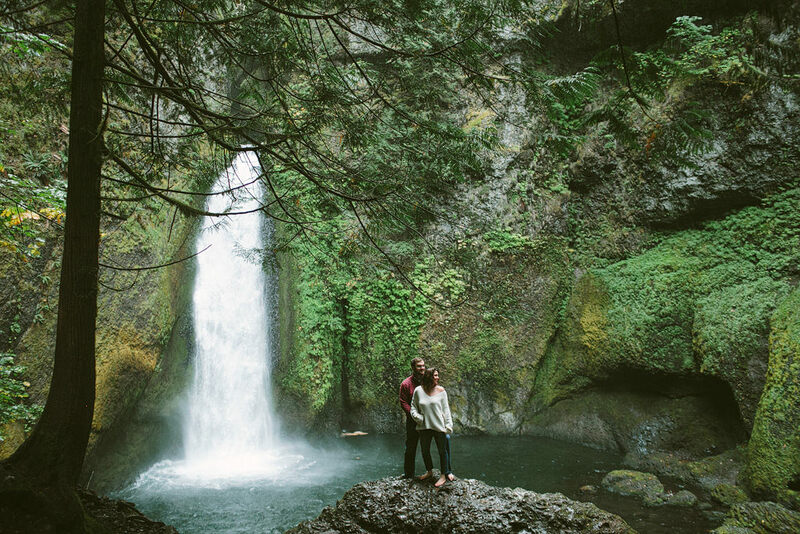 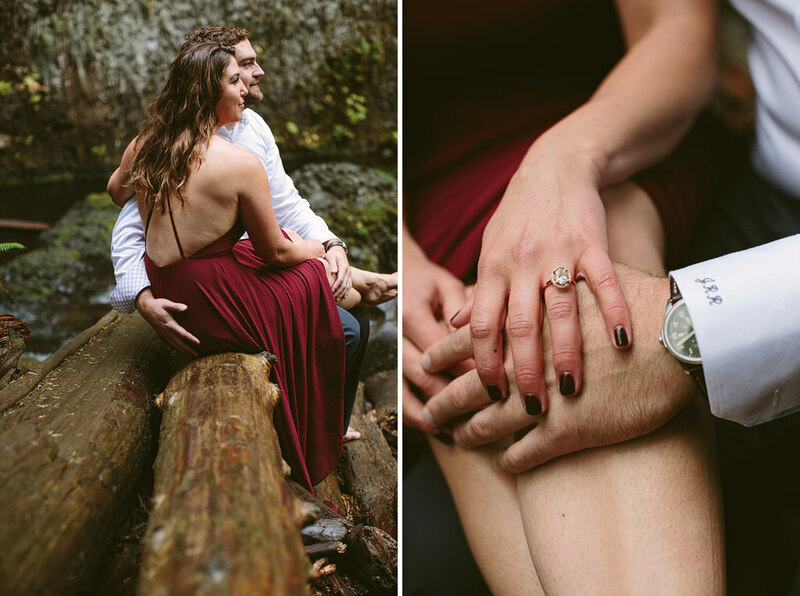 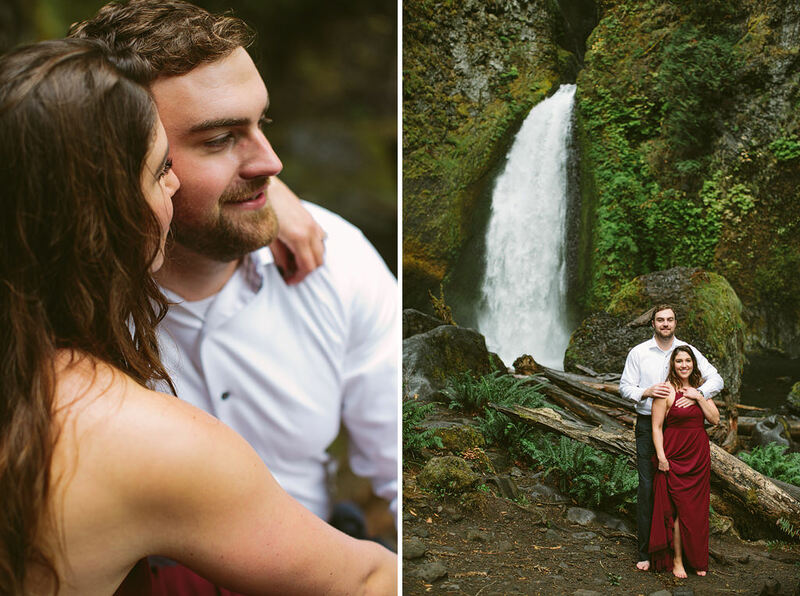 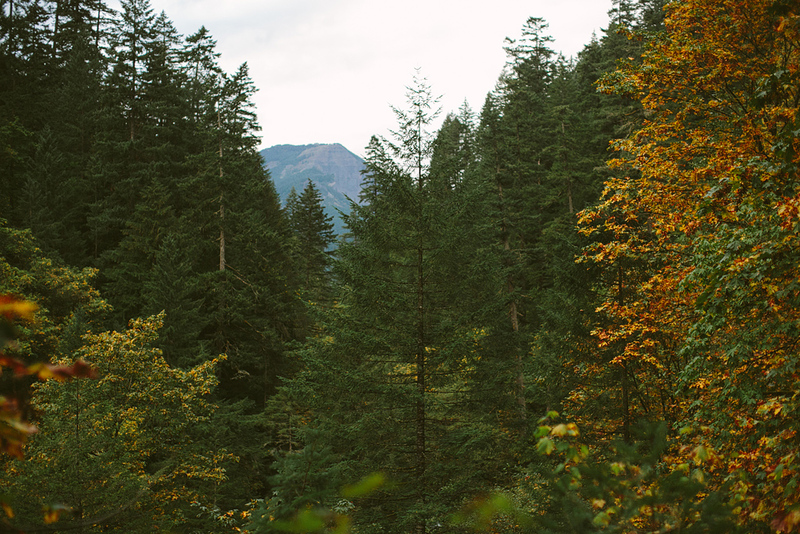 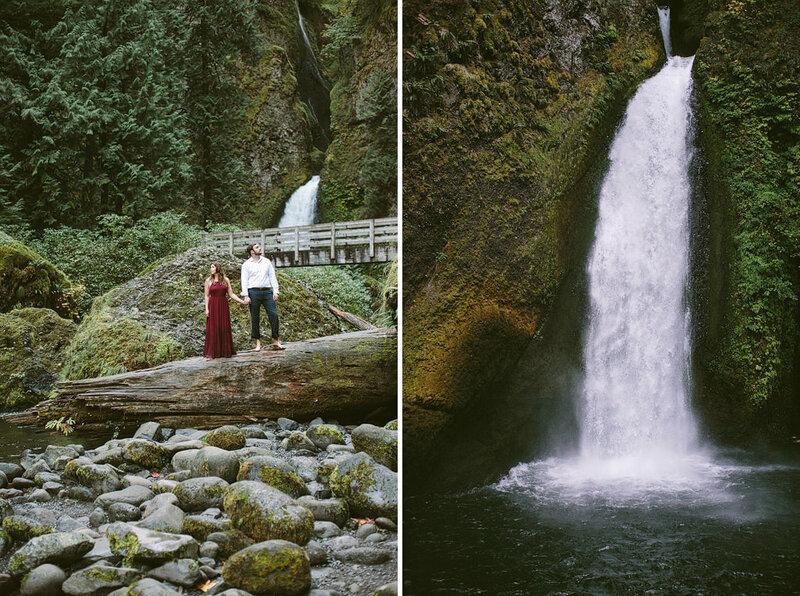 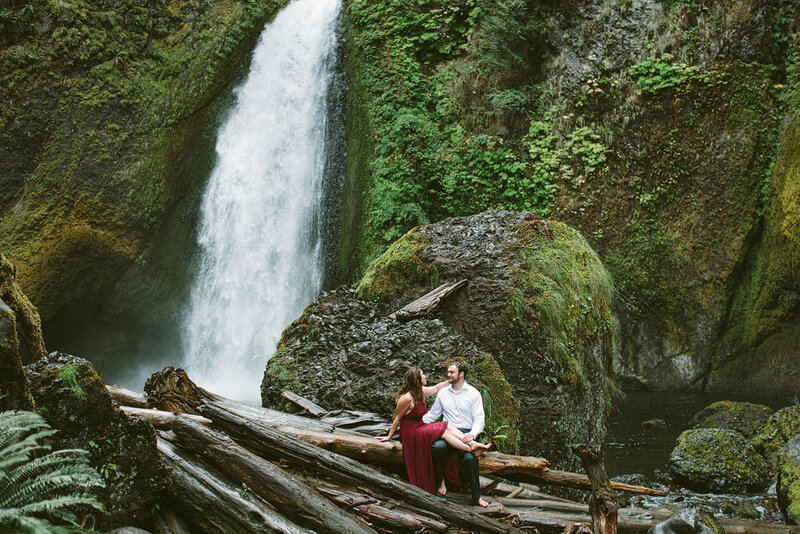 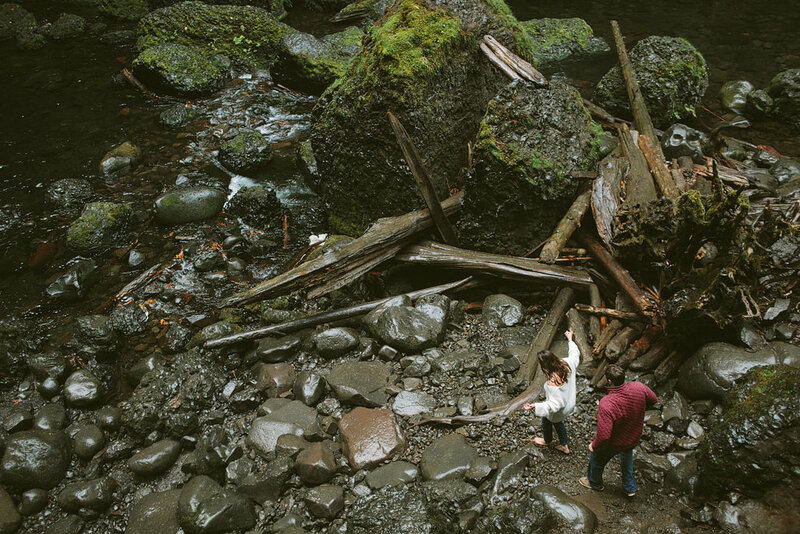 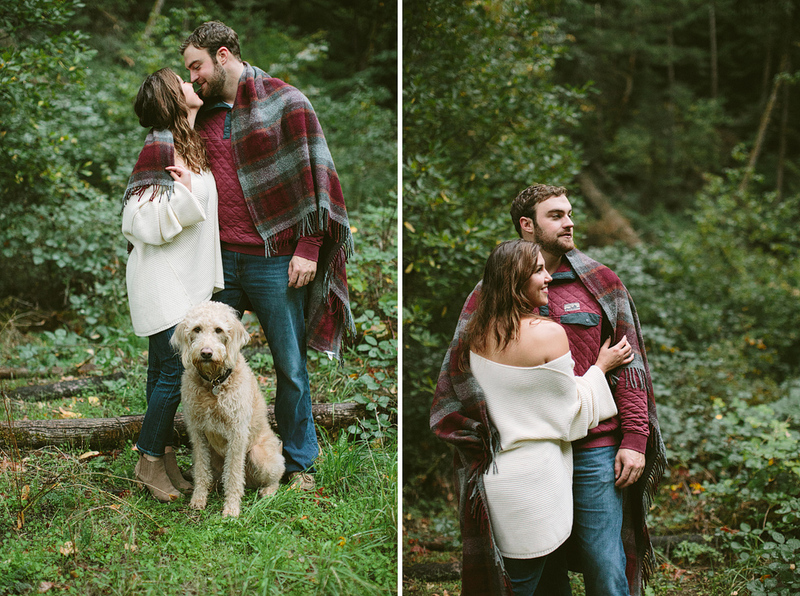 Allie and Jimmy’s engagement session through Wahclella Falls. 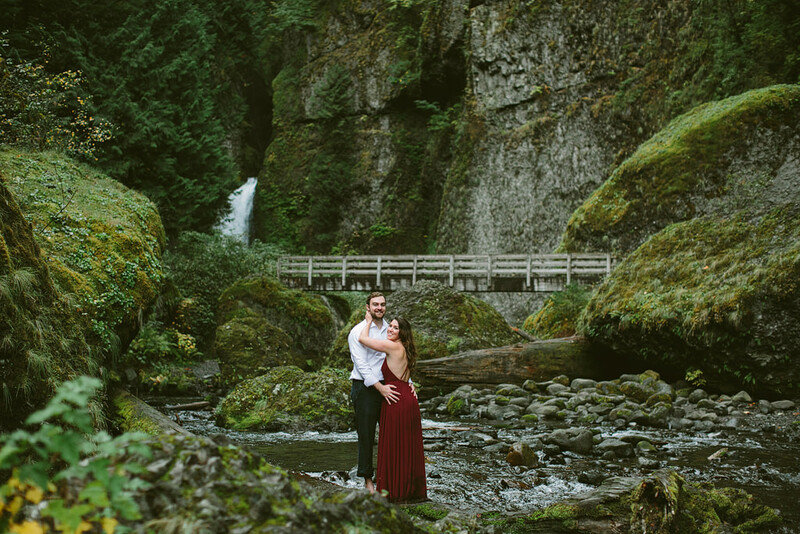 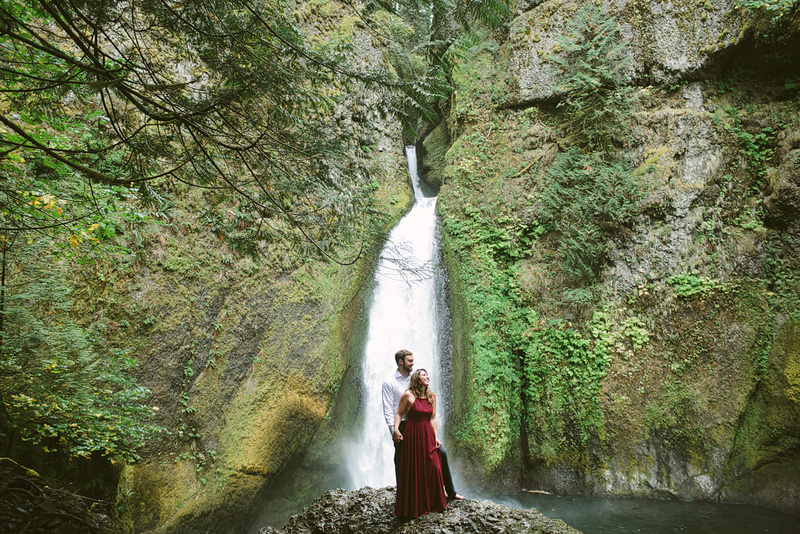 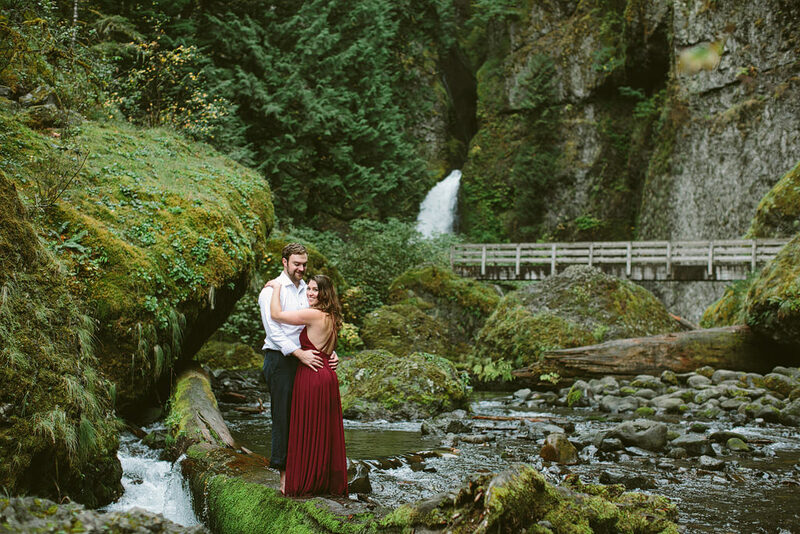 These two love to explore the northwest, and are getting married in the Hood River area next year at Mt Hood B&B, with the amazing Elizabeth from Bridal Bliss, helping plan and coordinate their day. 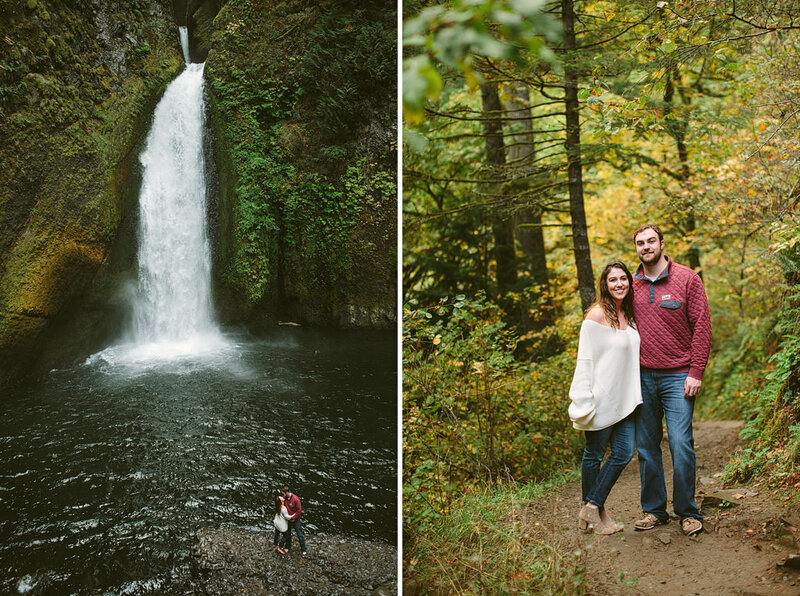 Hiking to Wahclella Falls seemed the perfect place for them to have their engagement photos taken. 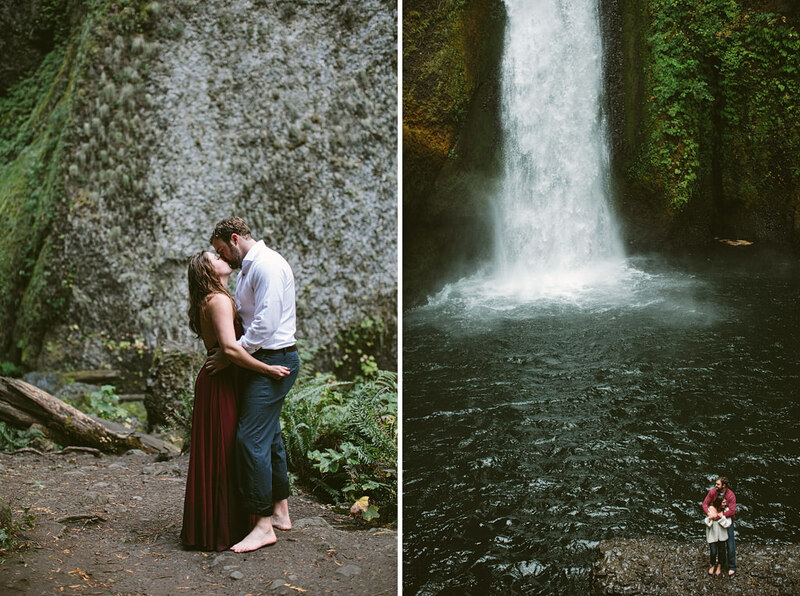 They were barefoot, adventuresome, and so adorable together!